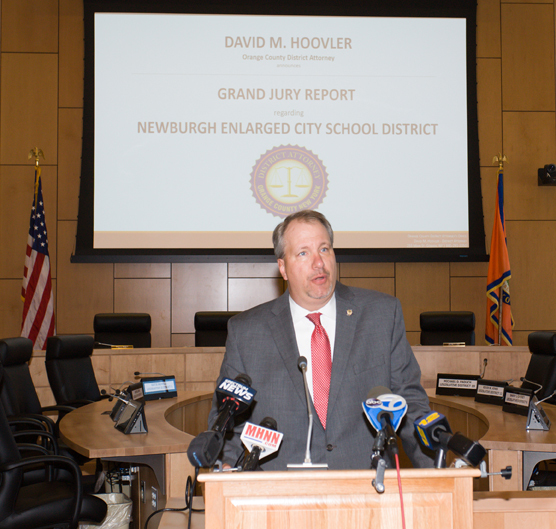 OC District Attorney David Hoovler released a grand jury report Thursday that is highly critical of the Newburgh Enlarged City School District’s handling of student athlete attendance and the alteration of their records. 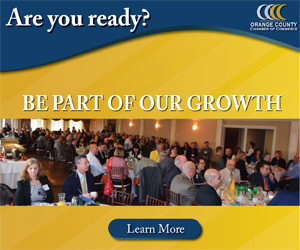 Hudson Valley Press/CHUCK STEWART, JR.
GOSHEN – A 98-page Orange County grand jury report released Thursday is highly critical of the Newburgh Enlarged City School District’s handling of student athlete attendance and the alteration of their records to allow them to continue to participate in Newburgh Free Academy sports and chronic student absenteeism in general. The report also takes aim at the administration of the APEX Online Learning program that allows students the ability to recover class credits. While no criminality was found and District Attorney David Hoovler said the report sheds no negative light on the students, the credibility of the district comes in question. School District spokeswoman Cassie Sklarz said Superintendent Roberto Padilla had no comment because he was reviewing the report. The grand jury report recommended that the district hire impartial monitors to oversee the administration of both student attendance and the APEX program. Hoovler said his office decided to review the complaints against the district because the State Education Department, which had been apprised of the situation, took no action. There are already behind the scenes rumblings that some school board members may call for Padilla’s resignation because of the improper activities documented in the report. Athletic Director Edgar Glascott told the coaches he would let them know when students were ineligible to play if they lacked class attendance requirements. State Senator James Skoufis (D, Woodbury) plans to talk to officials of the Newburgh Enlarged City School District to learn what they are going to do about the grand jury report. Skoufis said he will consider having his Senate Investigations committee look into it. The senator said while there were no criminal charges, someone must be held accountable. Previous articleHow Did America Get to Where We Are Today?